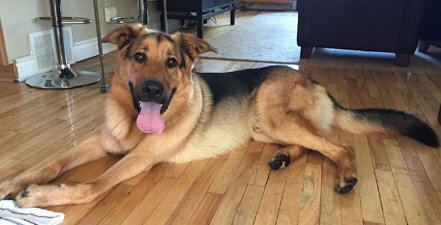 Dogs at the Winnipeg Humane Society (WHS) are researching their next staycation destinations and eyeing up the homes of dog lovers in Winnipeg. The WHS Weekend Staycation Program provides dogs with a much-needed break from the shelter and gives families a new and engaging way to give back to animals. The WHS Weekend Staycation Program, run through the foster department, is for medium and large breed dogs that are displaying signs of discomfort or stress in the shelter. By going on a weekend staycation, they get to relax inside a home and reduce stress levels. To be eligible for the program, families must register online. WHS Staycation applicants will be matched with a dog based on their living situation and get the chance to take them around the city. Participants will be supplied with all the food and equipment needed for the stay, along with an ‘Adopt Me’ vest for their dog to wear in public. “Inviting a larger breed dog into your home for multiple weeks can be an intimidating experience for a first-time foster. The Weekend Staycation Program gives people an opportunity to develop their skills and confidence caring for these canines for a shorter amount of time,” says Jahns. Fosters will provide the WHS with a profile of the dog after returning to the shelter and are encouraged to share photos and videos of their weekend with the dog on social media using the hashtag #WHSstaycation. Register for the WHS Staycation Program today by clicking the button below. Questions about the program can be directed to anjar@winnipeghumanesociety.ca or 204-988-8815.